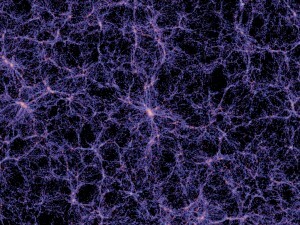 The Universe on large scales is described not by individual stars or even entire galaxies. Zooming out, these objects clump into massive clusters of galaxies, the largest gravitationally collapsed objects in the Universe. And on even larger scales, these clusters comprise a vast filamentary structure, with typical scales measured in billions of light years. 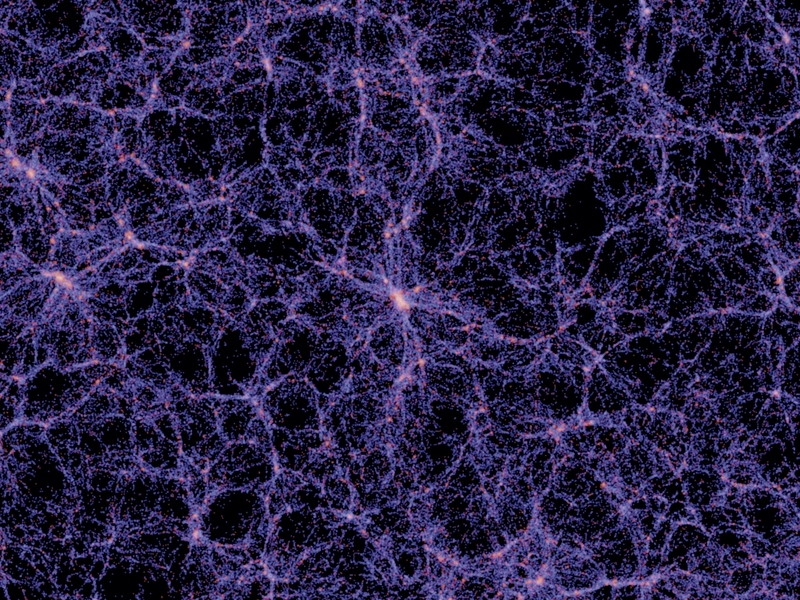 This is the Large Scale Structure (LSS) of the Universe, and by measuring its properties, we can test models of how it formed, and how those are governed by the laws and components that make up the cosmos. The Cosmic Microwave Background travels to us from farther than any structure we can see, and as such interacts with the “foreground” LSS, the gravitational properties of which twist and distort the CMB. By measuring this lensing signature, we can infer properties of the LSS and its growth. Large-scale galaxy surveys and Intensity Mapping experiments directly sample the matter density field, allowing us to build up an image of the LSS with unparalleled precision. Surveys of galaxy clusters—whether from optical surveys, X-ray, or through their Sunyaev-Zel’dovich interaction with the CMB—sample the extreme peaks of the density field. Sampling the LSS through its greatest non-linearities gives a powerful lever arm on the physics that drive its evolution.